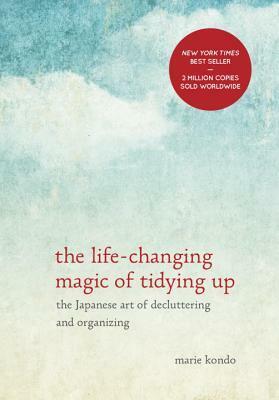 The Life-Changing Magic of Tidying Up by Marie Kondō, translated by Cathy Hirano, provides a step-by-step process for her KonMari Method of tidying, which she says should bring you joy and possibly lead to other life-changing moments. The first step is to discard, and when she says discard, she means get rid of everything that does not bring you joy or has no use. Discarding should be undertaken by category of items not by room, as many homes stash lotions and hair clips and other items in multiple rooms. These may sound like daunting tasks, but if the entire household participates, it might take less time. She says the entire process for tidying the house can take up to six months or more. Crazy! Sentimental items like letters from loved ones and photos should be kept for last, because these will be the hardest items to part with and sort through. All of our clothes should be collected from the various places throughout the house — drawers, closets, linen closets, coat closets, etc. — and placed in piles sorted by tops, bottoms, coats, dresses, etc. Once they are sorted, you should hold them in your hands, and think about whether they bring joy when you wear them. They also should be examined for any wear that cannot be repaired and tossed if they cannot be repaired. This is just one example. Placing everything in one category into a pile on the floor ensures that you visually see how much stuff you have. I recently did this with clothes on my own and felt much better once everything was sorted and discarded, but I did this without the help of this book. Once everything that is to be kept is identified, it needs to be put into its place and when used, it must be put back into its rightful place. Kondō’s method is very detailed and deliberate. Each item is held to ensure that the person understands what the item is, what its purpose is, and whether it brings joy. Some clothes, for example, looked great in the store but not on you when they got home — so these should be discarded. One piece of advice about lounge wear and that women should wear elegant nightwear to bed struck me as an old-fashioned idea, given that I’ve always found those kinds of bedtime wear uncomfortable to sleep in. But I may be out of the norm on that one, preferring my t-shirts and shorts or t-shirts and flannel pj bottoms. While readers will see the points she is trying to make — and it may just be the translation — there are times when the book is too repetitive, which can become bothersome. Also, there is a mindfulness here that may not translate into American culture like it does in Japanese culture. Thanking items for serving their purpose, caressing items to ensure they are alive before you take them out of storage, that kind of thing might appear a bit wacky to some. The Life-Changing Magic of Tidying Up by Marie Kondō, translated by Cathy Hirano, has some great ideas about what papers should be saved, how clothes should be folded to maximize space, and how to rethink about the items we keep. Attachment is something Buddhists talk about letting go of, and in many ways, Kondō is suggesting something similar in they way she focuses on discarding items. Marie Kondo (近藤 麻理恵) is a Japanese organizing consultant and author. Kondo’s method of organizing is known as the KonMari Method, and one of the main principles is keeping only possessions which “spark joy.” Kondo’s best-seller The Life-Changing Magic of Tidying Up: The Japanese Art of Decluttering and Organizing has been published in more than 30 countries. She was listed as one of the world’s 100 most influential people by Time Magazine in 2015. Death with Interruptions by Jose Saramago, translated by Margaret Jull Costa, (on Kobo) reads like a fable with the anthropomorphization of dogs and death. Saramago’s style lacks punctuation, dialogue separations, and other grammatical elements that many readers come to rely upon, but in this case, these omissions are done with purpose. Once readers immerse themselves into the narrative, these grammatical signals are not warranted. The “what-if” scenario in this novel is what would happen if death took a vacation, and no one died — but remained just on the cusp of death and life, unable to improve and get better and unable to fully pass away. What transpires is a country in chaos, hospitals overflowing with patients in a sort of stasis before death and nursing homes unable to care for all of the ailing in the most dignified way. His prose is heavy handed against the government, religion, and business, as well as human nature in general, particularly when explaining the motivations behind the care and disposal of the living-dead. The absurdity of the scenario and the satire are focused heavily on the internal decision makers and the elite of the church bureaucracy. 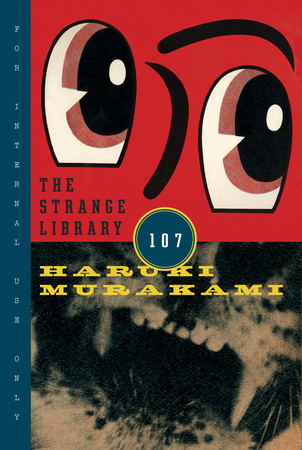 Readers will either find his prose humorous in his treatment of these elements, or they will be confused or taking it too seriously that they find the story too limited in scope or too focused on the mundane. Amidst the heavy handed and grim dealings of the government, religion, and medical fields to deal with the crisis of no on being able to die and be buried, Saramago offers readers a look at the darker side of humanity following an initial euphoria that immortality had been achieved. A deeply philosophical fable, this novel is almost of two minds — focused on the human institutions and their reaction in one half and then focused on the reasons why death has ceased and wanted a vacation from it all. While the latter half of the book is very reminiscent of those old myths about the gods falling for humans, Saramago never loses sight of who death is and how manipulative and tactless she can be. She’s romancing a cellist, but in the only way death can, with veiled threats of harm and mystery about her intentions. Some readers will either love the last third of the book or find it too cliche. 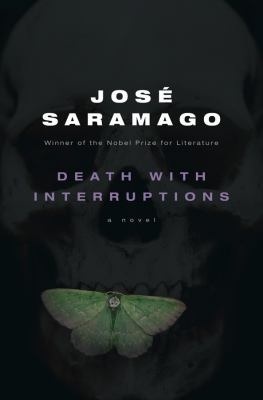 Death with Interruptions by Jose Saramago, translated by Margaret Jull Costa — our April book club selection — examines what it means to face death or the knowledge of death, whether you get your affairs in order and atone for past sins or go out in a blaze of glory. Saramago will have readers questioning their own mortality. The book club was all over the place with this one, with some really finding it humorous, a few not even finishing the book, and a few others that simply hated it. While many abhorred the writing style, others didn’t mind it as much, but wanted a more impactful story about individual families or characters — they wanted to see the more human side of things. None of the members agreed on who the narrator could be, though some suspected God, the Scythe, or Love as the narrators. 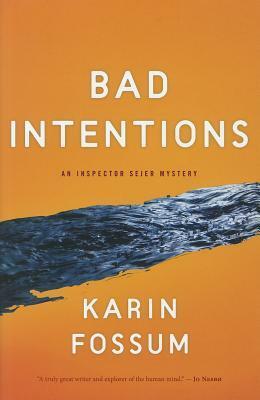 While I was dealing with a toddler during this meeting and a migraine, I probably missed a lot of the discussion, which is unfortunate for me, since I’ve read a few of this novelist’s books before and may have been able to help with a bit of the background, etc. for him and his writing. There is definitely a great number of issues to talk about and definitely will raise dilemmas, but the members will have to get through the book first. José de Sousa Saramago (1922–2010) was a Portuguese writer and recipient of the 1998 Nobel Prize in Literature. He was a member of the Portuguese Communist Party. His works, some of which can be seen as allegories, commonly present subversive perspectives on historic events, emphasizing the human factor rather than the officially sanctioned story. Saramago was awarded the Nobel Prize for literature in 1998. He founded the National Front for the Defense of Culture (Lisbon, 1992) with among others Freitas-Magalhaes. He lived on Lanzarote in the Canary Islands, Spain, where he died in June 2010. 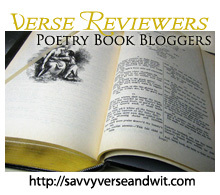 Welcome to the 221st Virtual Poetry Circle! I will spend the night with those days. With the smile you left in the sheets. and see with your eyes the things that you touched. you lift to your mouth. In the mouth that holds me. And I don't know what I am between yesterday and what will come. Yesterday I was the river at evening, the gaze that caressed the light. steps for deciphering them. They all roll far away. not even the words with which I cement the hours. what grounds me is the certainty that you exist. Journey to Portugal: In Pursuit of Portugal’s History and Culture by José Saramago, translated by Amanda Hopkinson and Nick Caistor from Portuguese, is a travelogue, but not in a traditional sense of naming specific destinations, their locations, and offering impressions in a straightforward manner. 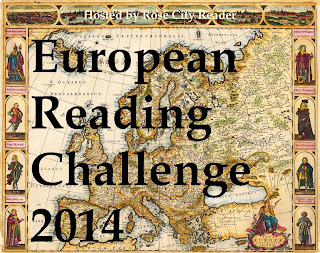 Readers looking for a travel guide would be best served looking for another book about Portugal. Saramago refers to himself as the traveler, which can be wearisome throughout 400 pages of text, and many of the visits he makes throughout the country are to either museums or religious locations/buildings, which is odd given his atheism and tenuous relationship with the Catholic church after writing The Gospel According to Jesus Christ. Moreover, this travelogue is as close to being a memoir as it can be given Saramago’s reflections, daydreams, and observances about the more modern Portugal around him. (He exiled himself, a Communist, to the Spanish island of Lanzarote following The Carnation Revolution in 1974 where he remained until his death in 2010.) However, he does say that he wishes these religious relics and pieces to be preserved as works made by human hands. In many ways, Saramago is reflecting on the life he’s led, the perceptions he’s had and still has, and how as time moves on the ornaments of those memories and perceptions are stripped bare, leaving only the barest outline of the past — until the emotions and personal connections are lost and all that is left is a photo out of context. 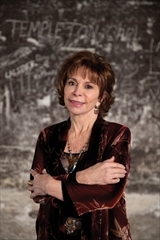 “During the lengthy voyage that took nearly six months, the conviction was born in me that in every place I passed through there was a piece of old Portugal bidding farewell to the traveller I was, an ancient Portugal which was beginning, finally, while still doubting whether it wanted to or not, to move towards the twentieth century,” he says. (page xii) He reconciles the past with the present, as seen through a melancholy perspective, and like the villages and people the traveller approaches slowly, he passes through one town to another, gets lost, and meditates on what he encounters. Saramago reflects on stonework quite a bit and its ability to stand the test of time, and through his ruminations, readers are likely to see his struggle with the endurance or inability of workers and tributes to stand the test of time — there are some shrines and other edifices he finds hold stories that are no longer accessible. 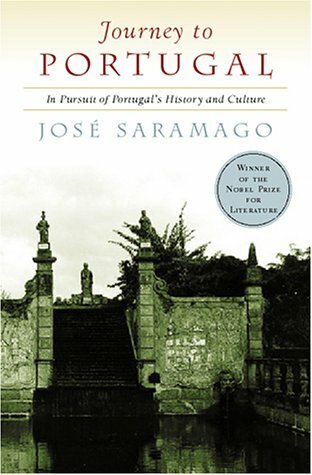 Journey to Portugal: In Pursuit of Portugal’s History and Culture by José Saramago, translated by Amanda Hopkinson and Nick Caistor, may suffer from poor translation, but there are moments of great reflection and insight that shouldn’t be missed, even if they are mired in melancholia and dark moods, by patient readers. José de Sousa Saramago is a Nobel-laureate Portuguese novelist, playwright and journalist. He was a member of the Portuguese Communist Party. His works, some of which can be seen as allegories, commonly present subversive perspectives on historic events, emphasizing the human factor rather than the officially sanctioned story. 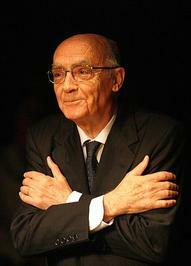 Saramago was awarded the Nobel Prize for literature in 1998. He founded the National Front for the Defense of Culture (Lisbon, 1992) with among others Freitas-Magalhaes. He lived on Lanzarote in the Canary Islands, Spain, where he died in June 2010. 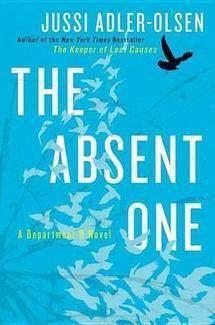 This is my 57th book for the 2013 New Authors Challenge. Winter’s End by Jean-Claude Mourlevat, translated by Anthea Bell, is a dystopian young adult novel set some time after a civil war has torn apart an unnamed nation. If any of this sounds familiar, it should — Hunger Games — and like Suzanne Collins’ book, kids and adults are required to fight in an Arena, though more in gladiator style with swords. And the similarities do not end there, but there are differences between this world and Collins’ world, with the Hunger Games capital seemingly more dangerous and the world of the districts more stark. Mourlevat spends a great deal of time on the boarding school and building the characters of Milena and Helen. These young girls are taken to a boarding school at the edge of the world, where they must memorize and follow 20 rules to stay out of the SKY, which isn’t the sky at all. During the year, they have three opportunities to meet in the village with their consolers, who basically provide the children comfort and guidance. The girls’ adventures begin on one such trip they meet two boys, Milos and Bartolomeo. In the back of the book, the author mentions that the story is based upon the life of Kathleen Mary Ferrier, an English contralto singer. In some ways the recruitment of Ferrier during WWII is similar to Milena’s mother’s story, but in other ways they are vastly different. There is a resistance in Winter’s End, but it remains very mysterious to the very end when the network begins to take action against the Phalange. While the oppressors show no compassion for those different than themselves and shoot down unarmed individuals or send dog-like men against the innocent, the Phalange remain mysterious — their origins, their motivations, and the history with the oppressed. In many ways, the actions against Milena’s mother and Bart’s father seemed more related to a broken-hearted man, than an over-arching battle between the Phalange and the resistance. Winter’s End is a thrill ride in the latter half of the book, and it will definitely keep the attention of younger readers. It’s also aptly named, as the sun seems to be shining more brightly by the end of the novel, though an epilogue about Helen’s consoler and her son was not necessarily needed and seemed like it was tacked on as an afterthought. Overall a satisfying read, but not near the caliber of other books in this category. Jean-Claude Mourlevat once wrote and directed burlesque shows for adults and children, which were performed for more than ten years in France and abroad. The author of several children’s books, he lives in a house overhanging the River Loire, near Saint-Etienne, France. 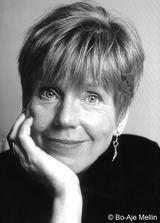 Anthea Bell OBE is an English translator who has translated numerous literary works, especially children’s literature, from French, German, Danish and Polish to English. 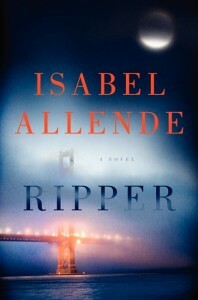 This is my 28th book for the 2013 New Authors Challenge. Overall, most of us enjoyed the writing in this YA book the most, and there was a great many symbols of French culture, particularly the power of music and symbols to a revolution. The young lady in the group who selected the book did not like Milena as much because she was too perfect, while another member said she was more like a symbol than a character — harkening to the symbol of the revolution bit that the author seemed to be striving for. Two or three members were saddened by events that killed off one particular character who had become a favorite, and another member pointed out how there was a lot of build up in the book about the revolution but little action. One member wanted more of that action, and I think most agreed that the end of the book seemed rushed. Overall, it was just an OK read for most of the group, with the youngest member planning to give it four stars.